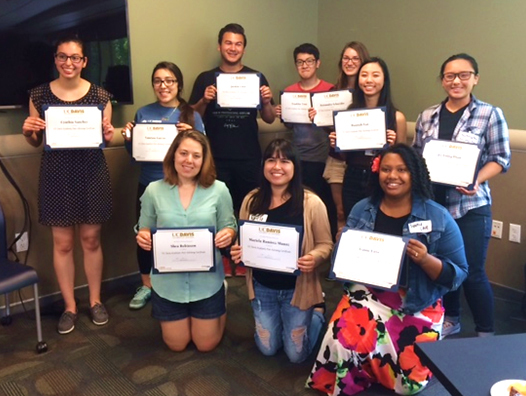 Congratulations to the first group to complete the Academic Peer Advising Certificate! In its inaugural year, fifty-two peer advisors from departments across campus participated in the program and furthered their training and development of transferrable skills. Eleven students successfully completed the certificate, attending workshops and demonstrating growth in the four competencies: Conceptual/Informational; Relational, Cultural Competency/Humility and Personal/Professional Growth. "Thank you for creating such a certificate program. I not only learned about the various resources on campus and various social issues, but I also learned a lot about myself." "This workshop has caused me to be more reflective about how I serve as an ally for people in difficult situations, and it has encouraged me to have a learning mindset in which I don’t make assumptions about people’s experience but rather listen and learn from their unique situations." "Some of the transferrable skills I gained from this experience are attentive listening skills, problem-solving, and ways in which to create an environment that is culturally sensitive and inclusive for all communities." "As a current peer advisor looking forward to a career in academic advising, the experiences I gained through the program have enhanced my understanding of the field and what is required to help students succeed in their endeavors."